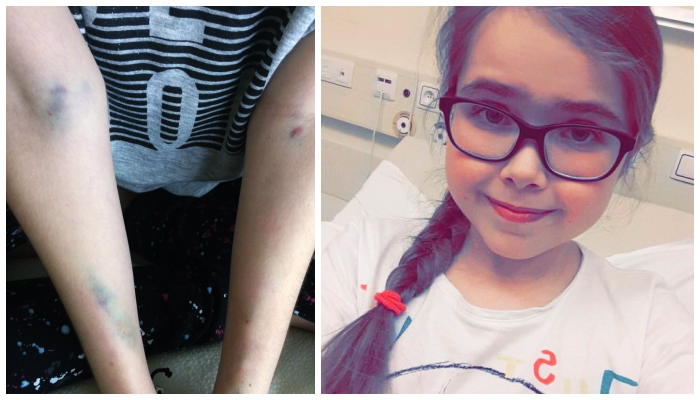 Dominika (Misia) has Cystic Fibrosis - incurable genetic illness. The first time we heard this horrible two words we couldn't believe it. How? Our baby? Terminal illness? Why? Were did that come from? All these questions and no answer... Eventually we have stopped asking. We have started to fight! This is our baby and we can't surrender to this disease. If you think that this illness affects only longs you are mistaken; it can affect all the internal organs so you have to be extra vigilant. At the moment we are fighting for the liver. This illness took over our life. It was growing stronger alongside Misia's development. Now we have to deal with Osteoporosis, Diabetes, Liver failure, Esophageal varicose, Fructose and Lactose intolerance- all of which proves too much to handle for a fourteen years old girl's body. Every new problem is a thick wall to get through..
Dominika was admitted to a hospital back in April because of high ammonia levels. She was put on antibiotics and she needed cannula changed twice a day! There was no room left on her arms after a week so they started to put the cannulas into her feet! Eventually to ease the suffering the doctors decided to put in an injection port. We all manage to learn how to administrate the medicine before and after the meals. The are still some good times and laughs in Misia's life but it usually come with a price of pain an suffering. Our brave and smart daughter became withdrawn, careful and scared. The "old" Dominika started slowly disappear. She isn't active anymore. She dreams of a new, better life, without the pain and fear. However, despite all of this, she still put her brave face on and keeps on smiling. 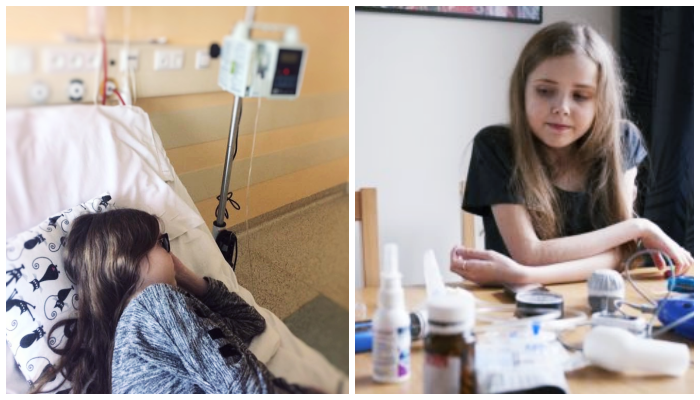 There is no cure for Cystic Fibrosis, but with your help we can make sure that Dominika will live. The treatment to keep this disease at bay is very expensive. At the moment the costs are reaching around thousand of pounds a month for the medicine. After the transplant these costs will be much higher. 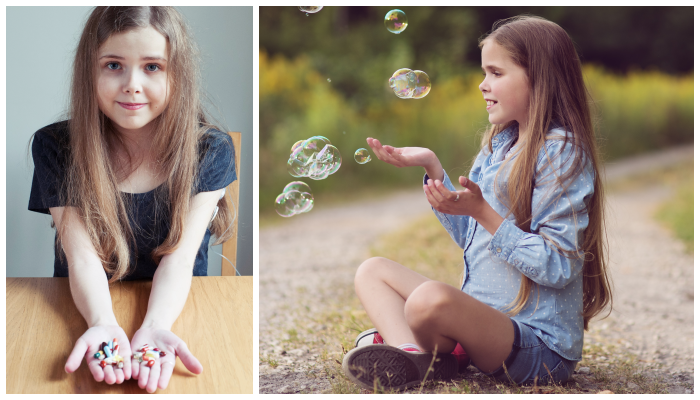 Dominika's life is like a soap bubble- very easy to burst if neglected. Please help us fighting for our beautiful daughter. This is it. We are desperate now. Misia's situation is very bad. Her liver is in such bad shape that she has been put on a top of the transplant priority list and firs matching organ will got to her. We are very hopeful. We need your help and support and strength to keep us optimistic. Dominika has had the liver transplant! She was in the theatre for 10hrs. Now we are in a very difficult recovery period but we are staying positive. We are hopeful that Misia's body won't reject the new liver, but the next few weeks will be very stressful. We are very grateful to the donor family and the donor him/herself. When asked about having a stranger's body part inside her, Misia said she doesn't mind who is it from, what matters that it will save her life and for that she will be very grateful. Thank you. We do appreciate what you have done for us so far, but now we facing another challenge and we asking again for your help. It is a long way to the recovery and it is an expensive one too, so thank you very much for your support.